Regulators are expected to thoroughly review the merger with potentially a 50 percent chance the deal will pass clearance. Bayer and Monsanto will be pushing through with a $66 billion takeover deal after Bayer increased its offer for the third time. The German drugs and crop chemical company increased its offer from $127.50 per share up to $128 per share, which makes it the biggest deal of the year and the largest cash deal on record. The deal will create a company that takes up more than a fourth of the world market share for seeds and pesticides in an industry where companies are quickly consolidating. Competition authorities, however, are expected to do a close inspection on the merger, along with shareholders of Bayer who are highly critical of the deal with the belief that the company is overpaying and has been negligent of its pharmaceutical business. Included in the deal is a break fee costing $2 billion which Bayer must pay Monsanto should the regulatory clearance not push through. Bayer is expecting the deal to close at the end of 2017. According to Bernstein Research analysts on Tuesday, there is only a 50 percent chance that the deal will be able to go through regulatory clearance, but they also cited that an average of surveyed investors believe that the chance is about 70 percent. The offer of Bayer placed a 44 percent premium on the May 9 share price of Monsanto, before it gave its first written proposal. Bayer plans to raise $19 billion through the issuance of convertible bonds and the addition of new shares to its current shareholders to be able to fund the deal. Banks have also committed to provide $57 billion in bridge financing. Shares of Bayer went up to 95.32 euros by 2.2 percent in mid-day GMT, while Monsanto went up 0.2 percent to $106.3 during premarket trading. Bayer’s and Monsanto’s merger is the latest in a series of deals in the agrochemical sector and is also the largest so far. The deal’s objective is to create a company where customers can get seeds, crop chemicals and computer-aided services to farmers from a single company. The deal between Bayer and Monsanto is the largest involving a German buyer, which is even larger than the merger between Daimler and Chrysler in 1998, which was worth more than $40 billion. The agrochemical merger is the largest all-cash transaction, even higher than the $60.4 billion offer of InBev to Anheuser-Busch in 2008. 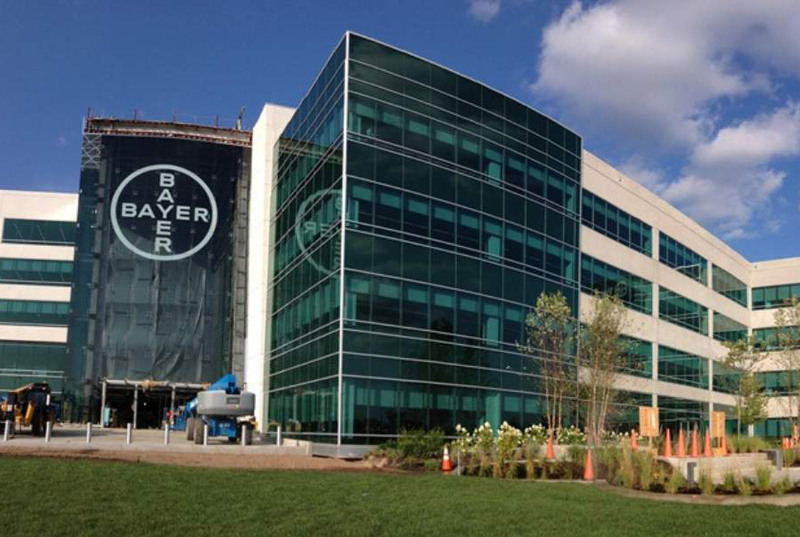 The merger is expected to boost core earnings per share in the first full year after the deal closes and by the third year, up to a double-digit percentage growth, according to Bayer. According to antitrust experts, regulators may tell the companies to sell soybean, cotton and canola seed assets as a condition to approve the deal.